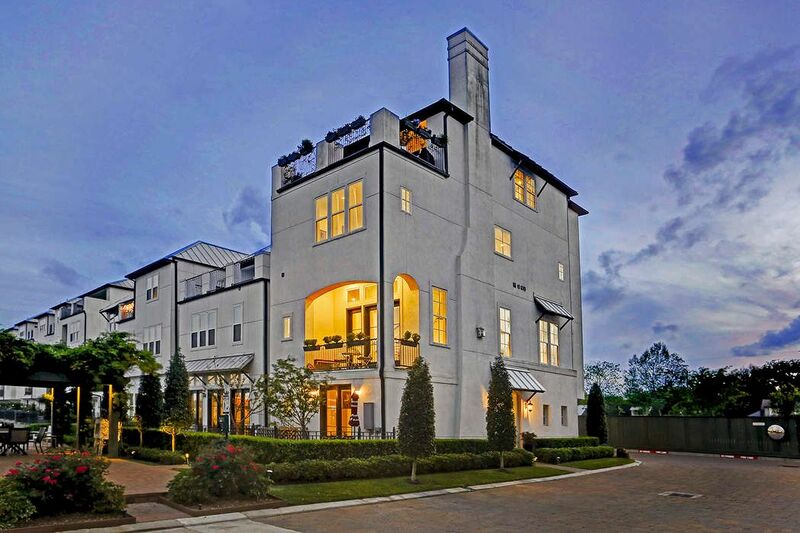 2242 Lakeshore Edge Drive, Houston, TX 77080 | Martha Turner Sotheby's International Realty, Inc. Welcome to 2242 Lakeshore Edge Drive. 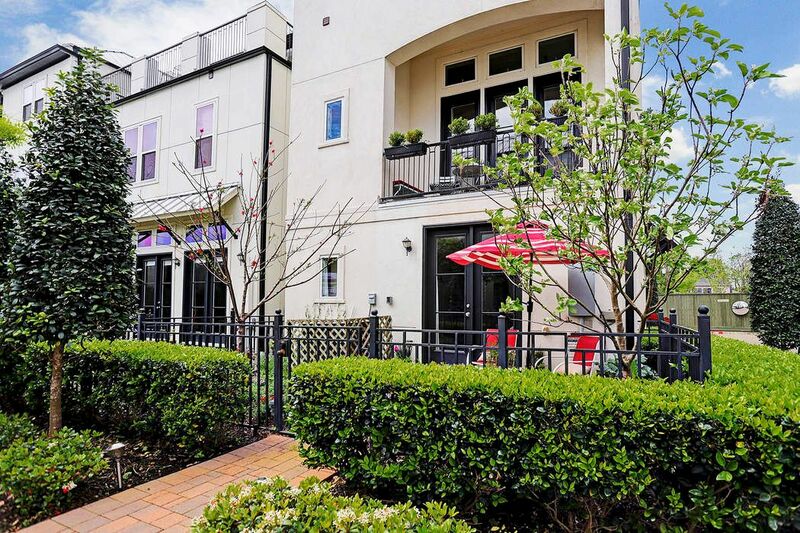 Lakeview living just minutes from downtown Houston! 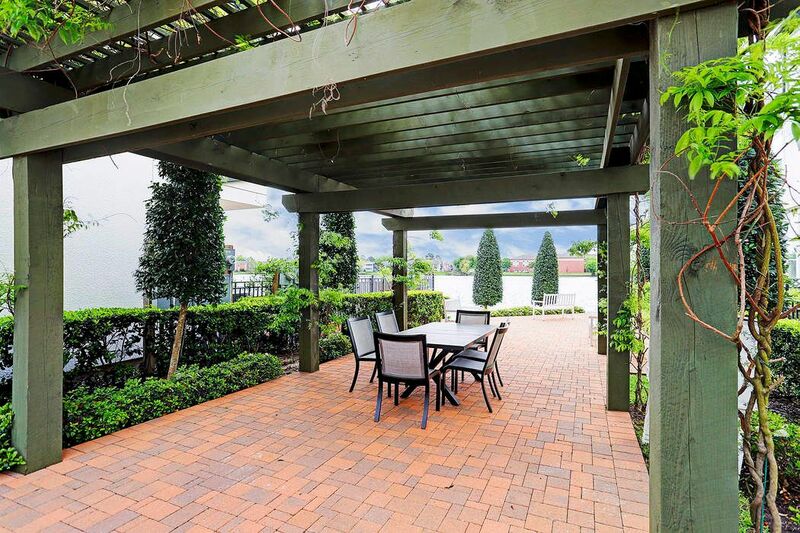 This former model home is a perfectly positioned light-filled home in the community of Hilshire Lakes. 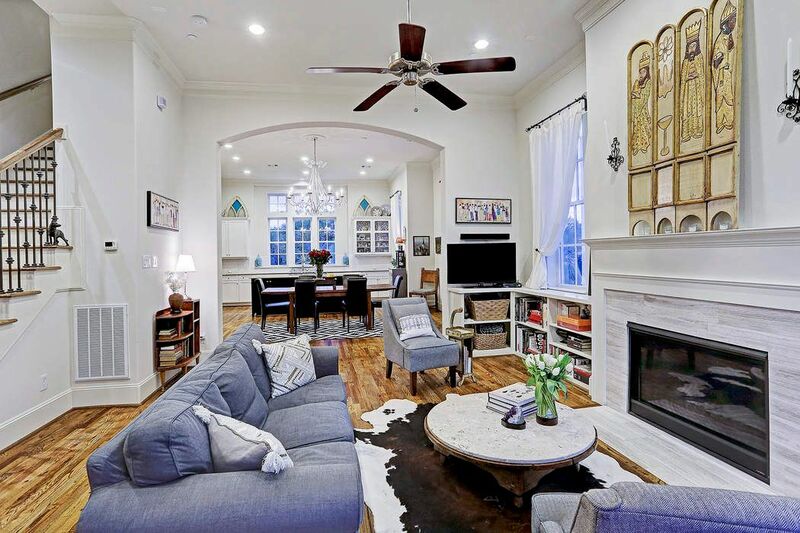 The interiors are finished out like a fine custom home, offering details usually reserved for much more expensive properties. Another view of the terrace after sunset. 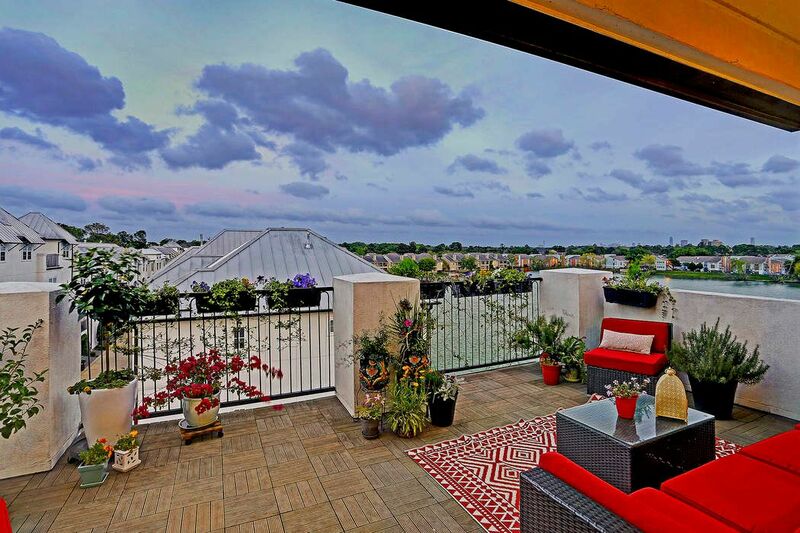 Breathtaking view from the rooftop terrace. 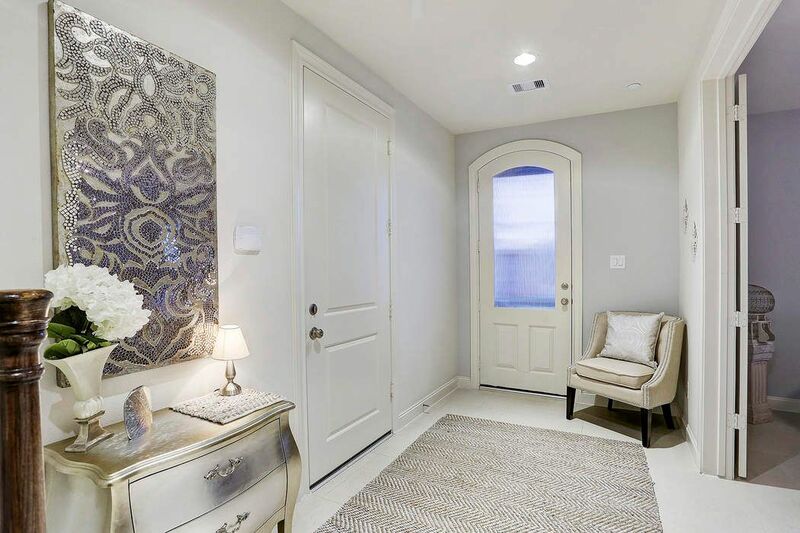 Lovely entry with tile floors, recessed lighting and access to the garage and flex room. 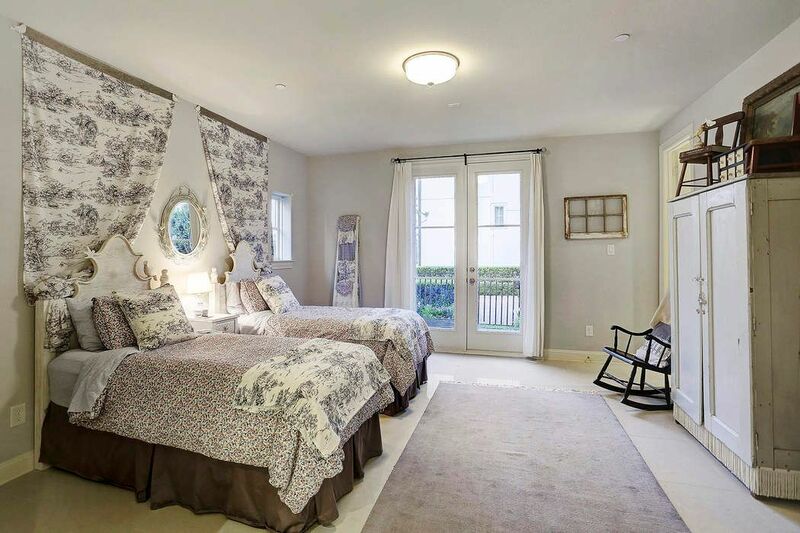 1st floor flex room makes a wonderful bedroom with access to the gorgeous organic garden, your guests might not want to leave! 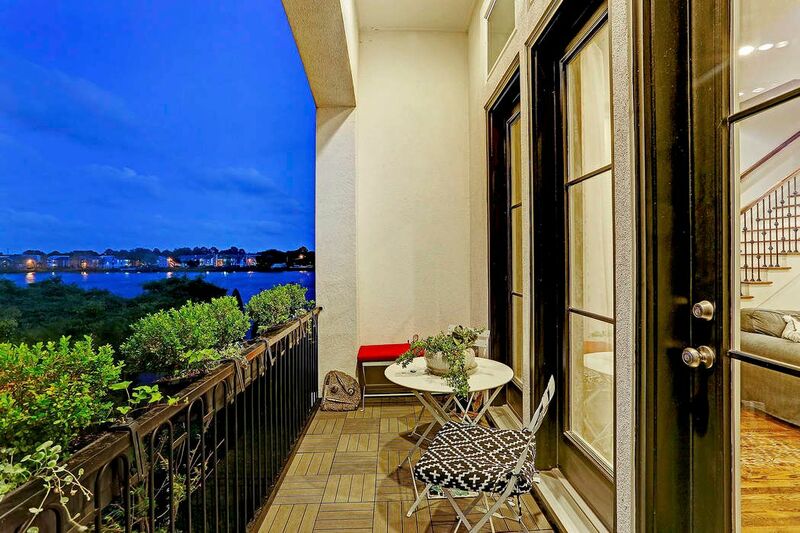 Patio off the first floor room is ideal for lounging or dining alfresco. 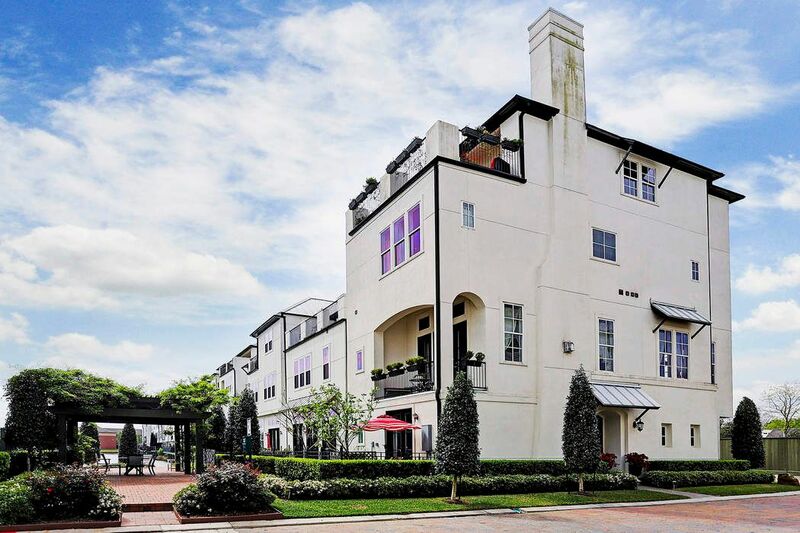 The 2nd floor is the epitome of easy-living w/ the open kitchen/dining/living rooms. 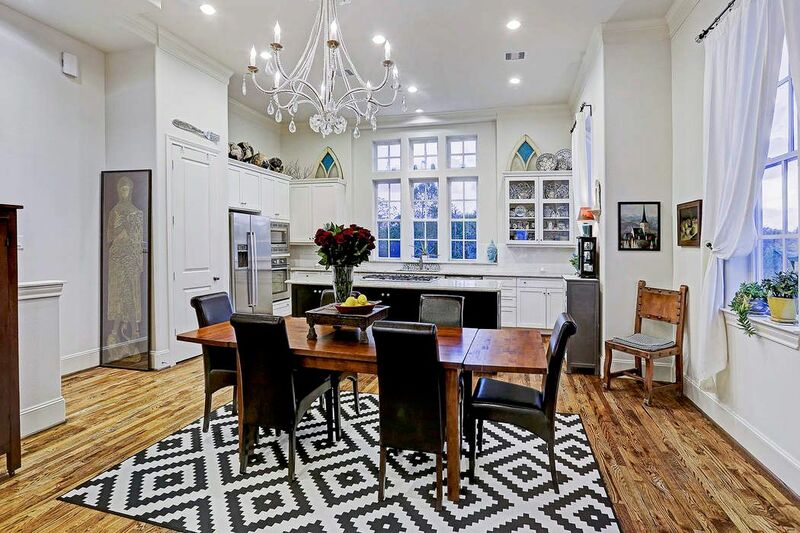 Kitchen with Gleaming hardwoods, 12' ceilings, elegant crown moldings and designer lighting. 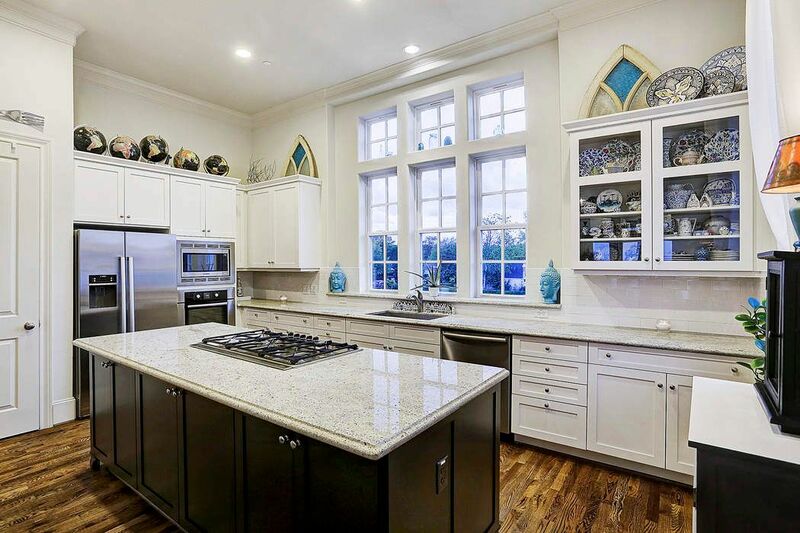 This kitchen has beautiful granite counters, Woodmode cabinets, stainless Bosch appliances, glass front cabinets and recessed lighting. 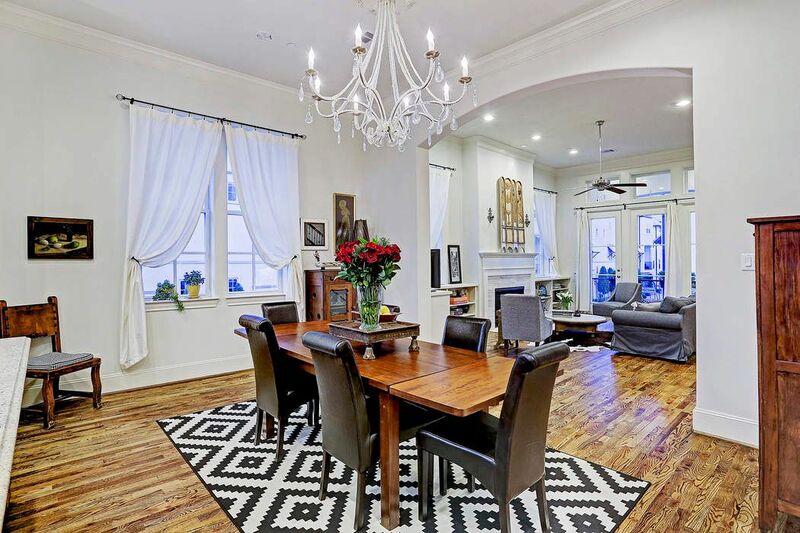 Dining room with hardwood floors, crown molding, recessed lighting and beautiful chandelier. 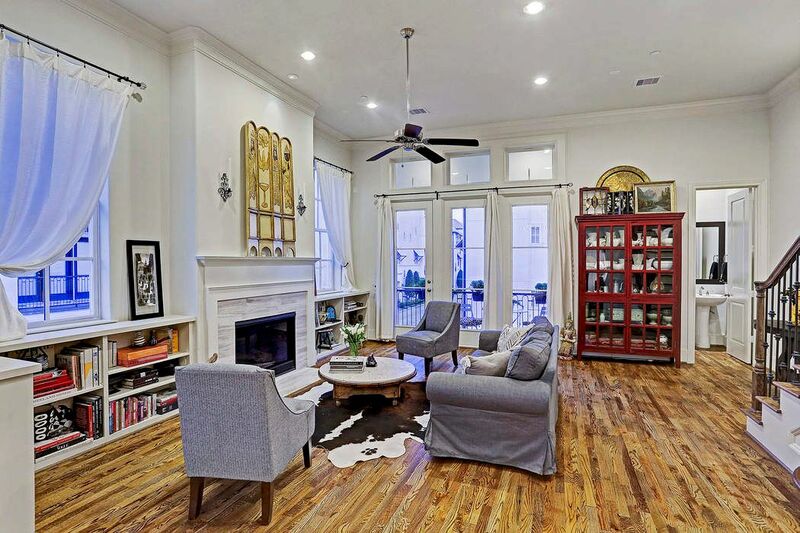 Large living room with hardwood floors, a gas log fireplace, built-in shelving, crown molding, recessed lighting, ceiling fan and access to a balcony. Imagine sipping coffee and watching the sunrise on your balcony in the morning while watching the birds fishing on the 11 acre spring-fed lake! 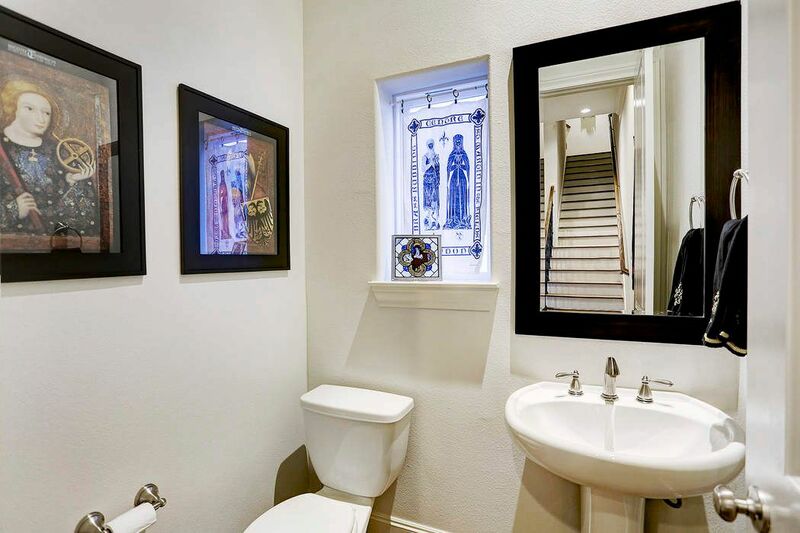 Second floor powder bathroom with hardwood floors, recessed lighting and single sink. 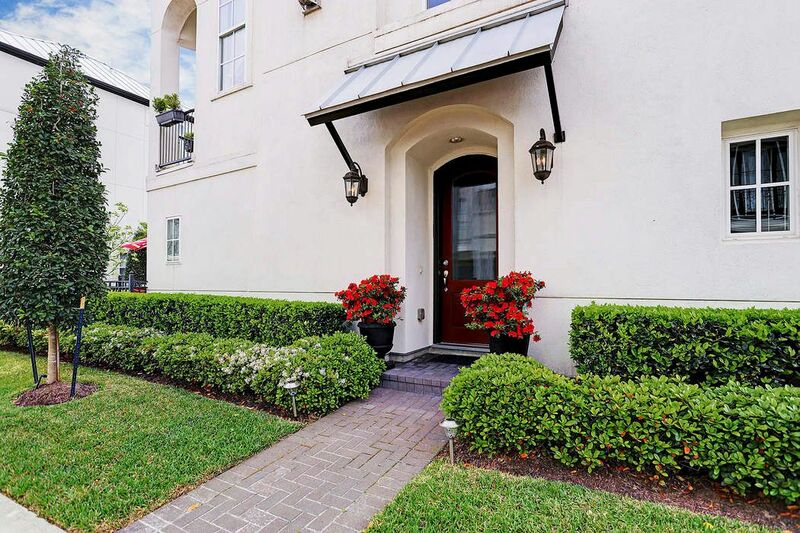 Master is a true retreat with hardwood floors, recessed lighting, crown molding, ceiling fan and 3 closets. 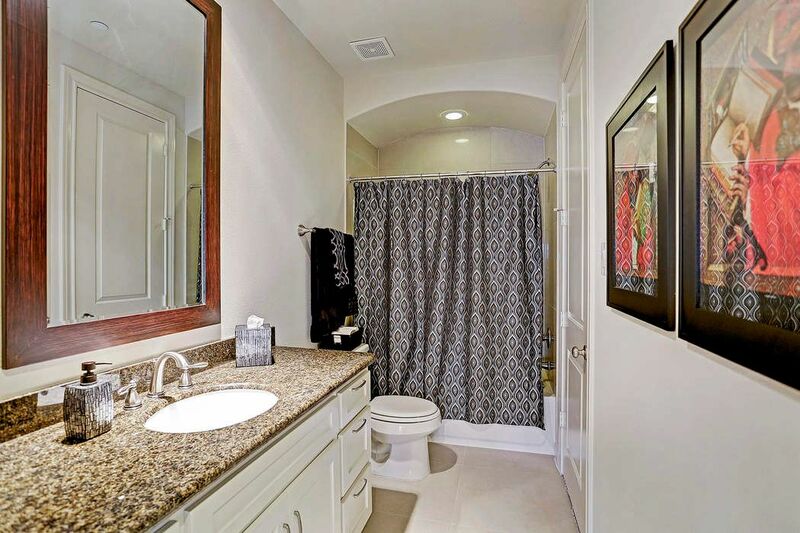 Luxurious natural stone bathroom with double sinks, Whirlpool tub and walk-in shower. Third floor secondary bedroom is en suite. 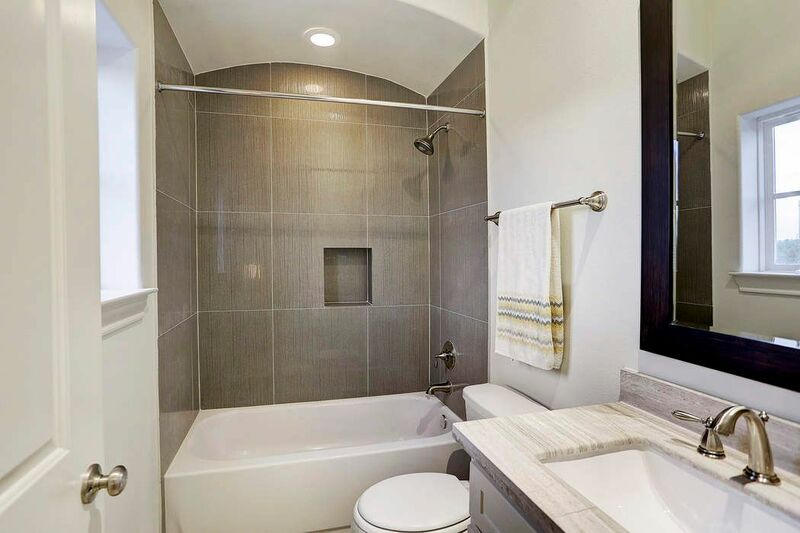 Secondary bathroom with a large counter, tile floors, recessed lighting and bathtub/shower. 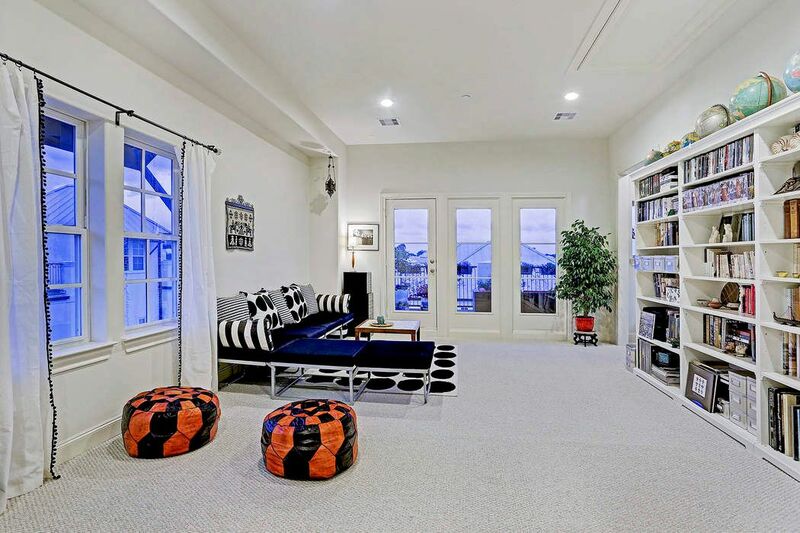 Top floor gameroom with wet bar & roof deck offer amazing views. 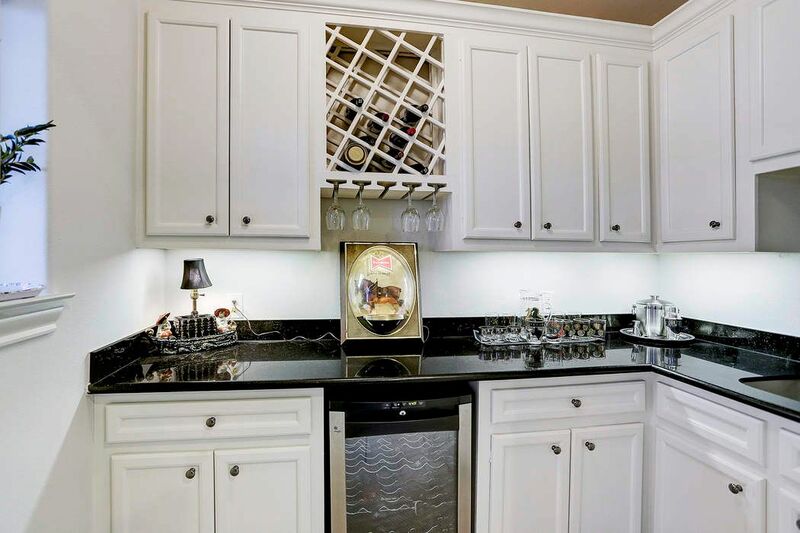 Wet bar with sink, wine fridge and nice storage. 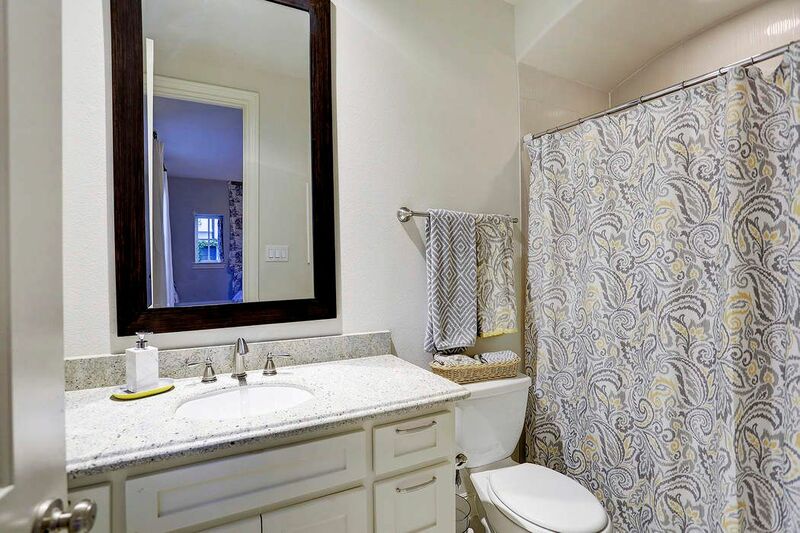 Secondary bathroom with tile floors, sink sink and tub/shower. 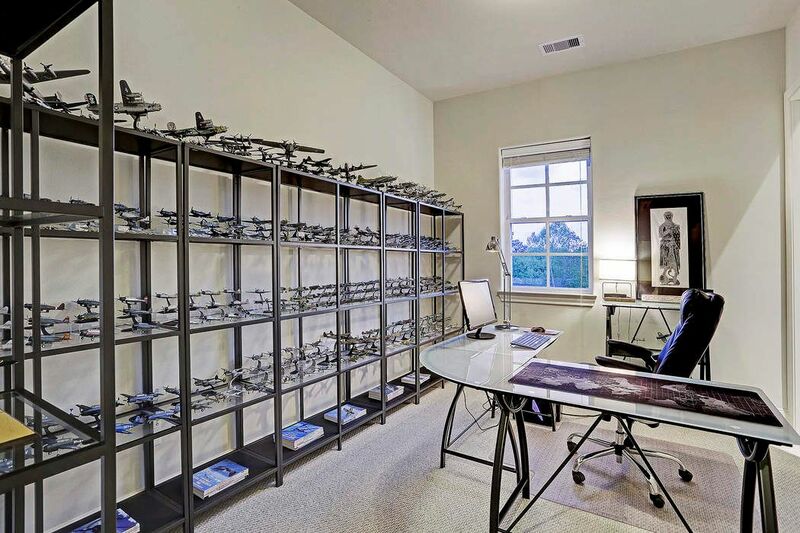 Gameroom has carpet, high ceilings, wet bar, built-in bookcase and access to the rooftop terrace. 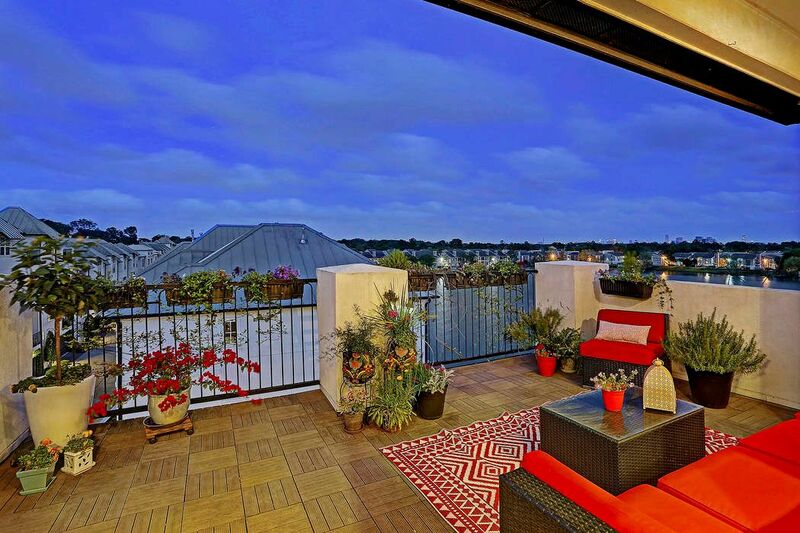 Rooftop terrace with amazing views of community and lake. Common area on the lake. 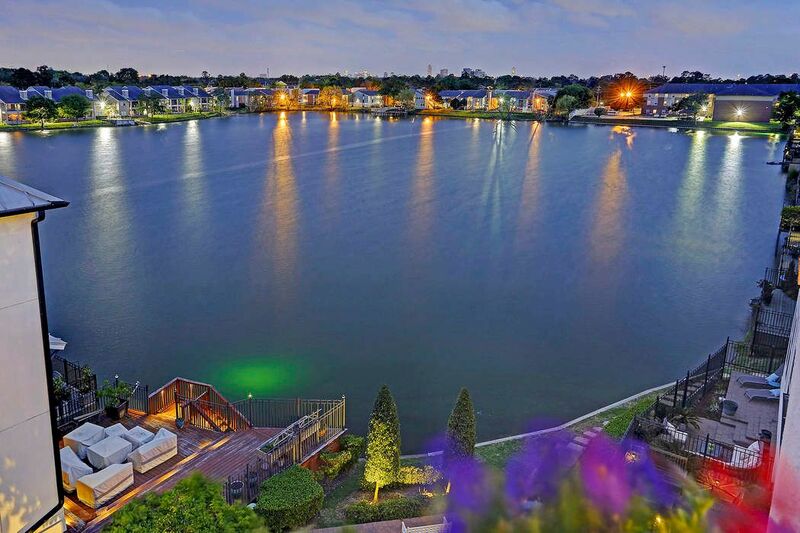 The community provides multiple common areas to enjoy the lake and outdoors. 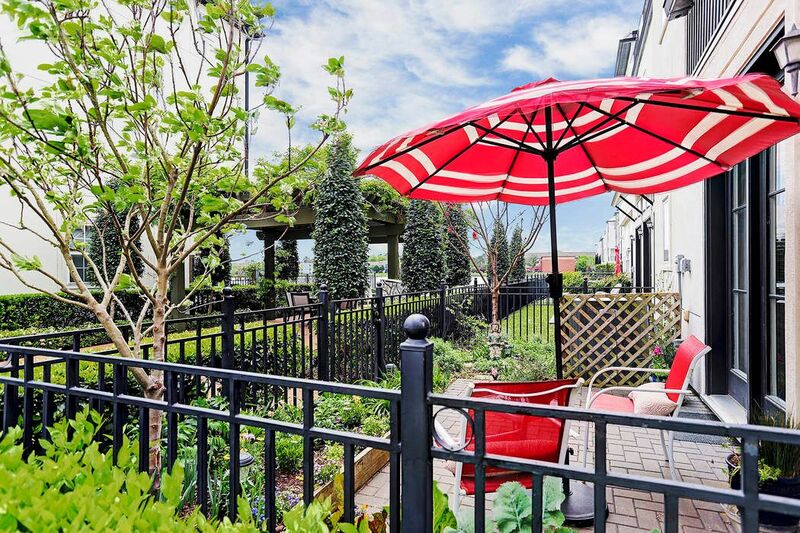 $495,000 3 Bedrooms4 Full / 1 Partial Baths3,086 sq. ft. 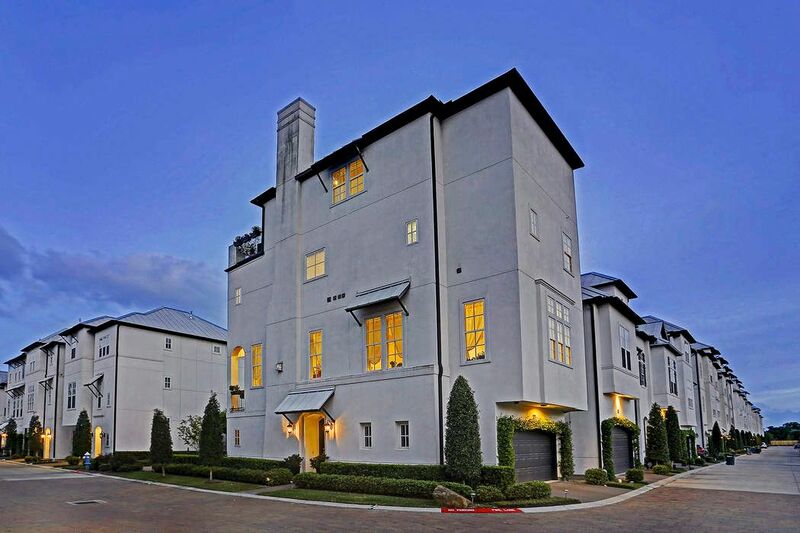 Welcome to 2242 Lakeshore Edge Drive. 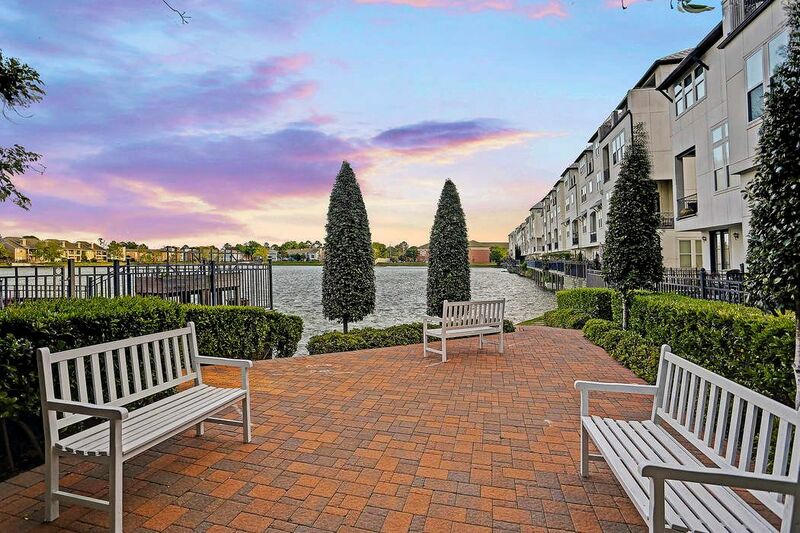 Lakeview living just minutes from downtown Houston! 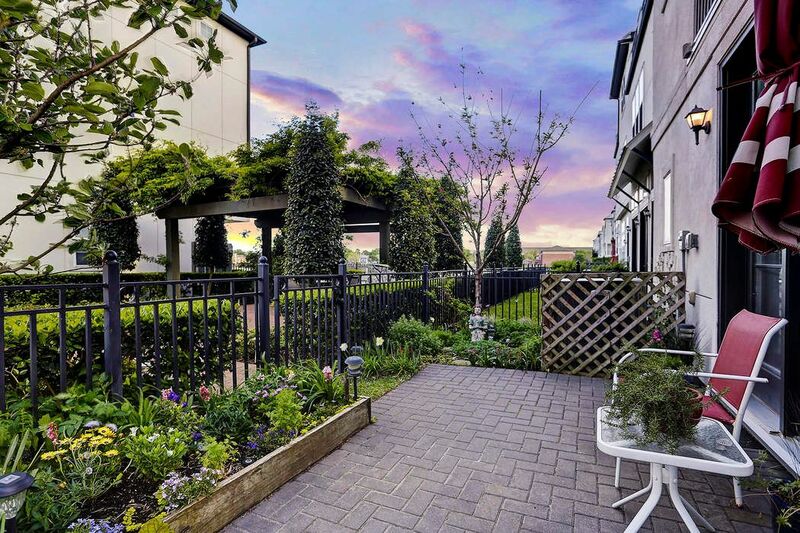 This former model home is a perfectly positioned light-filled end unit in the community of Hilshire Lakes. Imagine sipping coffee and watching the sunrise on your balcony in the morning while watching the birds fishing on the spring fed lake! 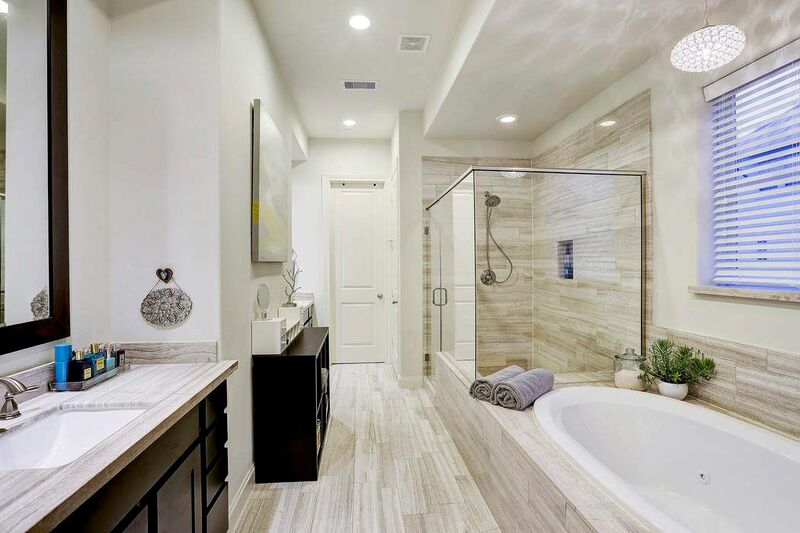 The beautiful interiors are finished out like a fine custom home, offering details usually reserved for much more expensive properties. 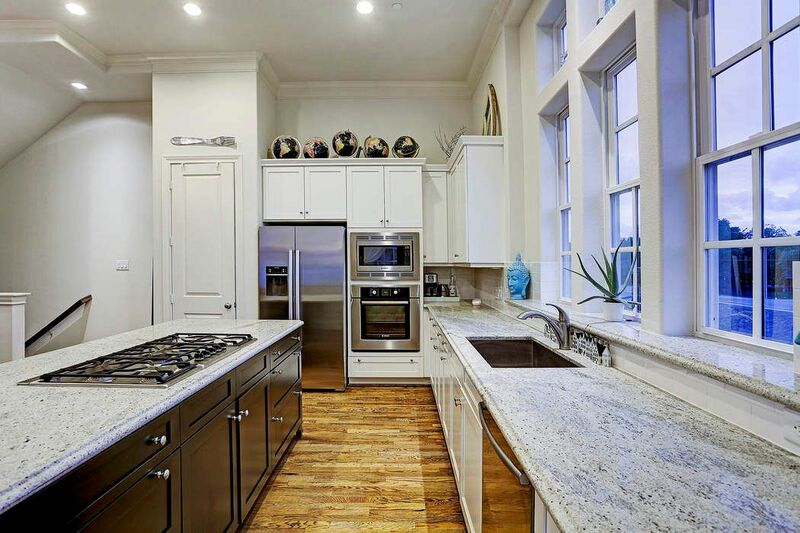 Gleaming hardwoods, 12' ceilings, elegant crown moldings, designer lighting, beautiful granite counters, stainless Bosch appliances, glass front cabinets, recessed lighting. 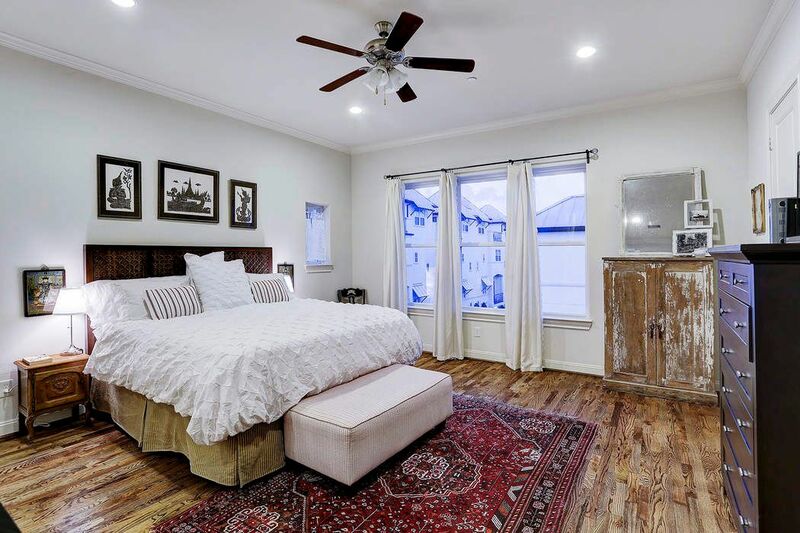 The 1st floor flex room makes a wonderful bedroom. 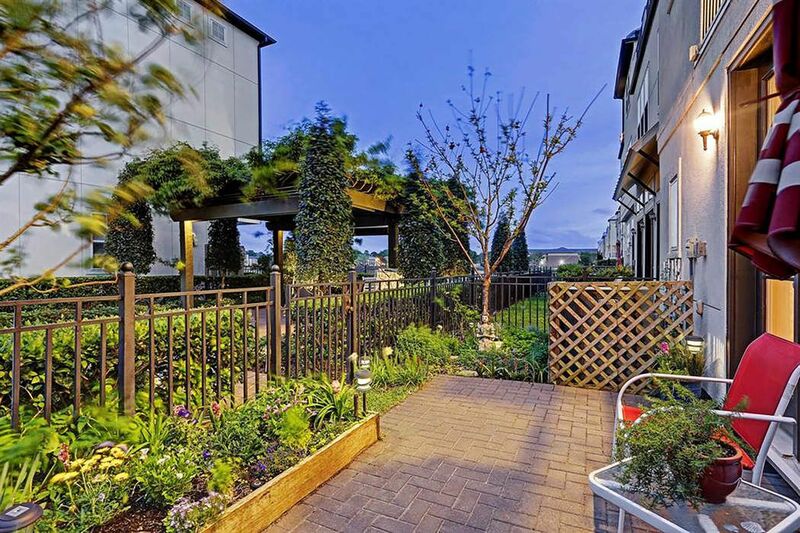 With access to the beautifully landscaped patio, your guests might not want to leave! 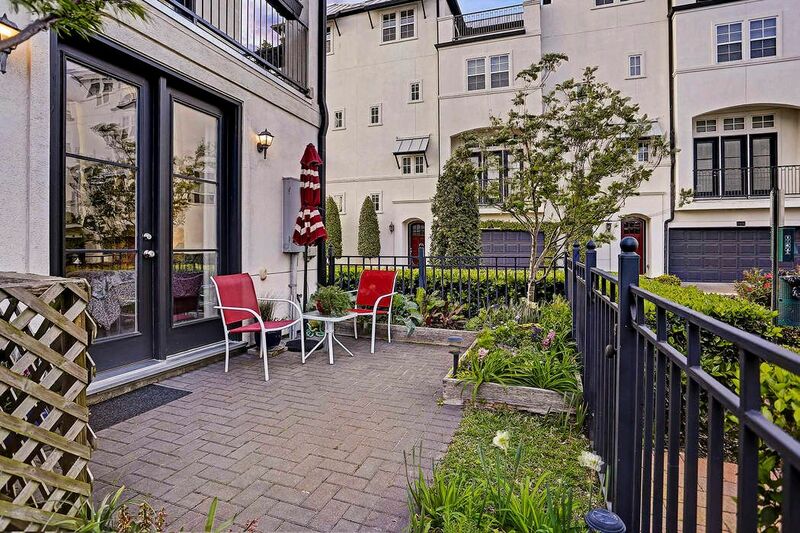 The 2nd floor is the epitome of easy-living with the open kitchen/dining/living rooms. 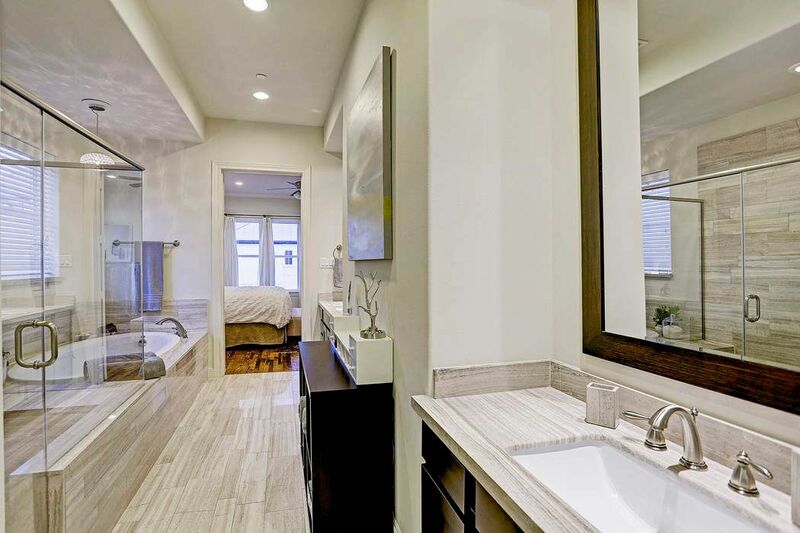 Master bedroom is a true retreat with dual closets & luxurious natural stone bathroom. 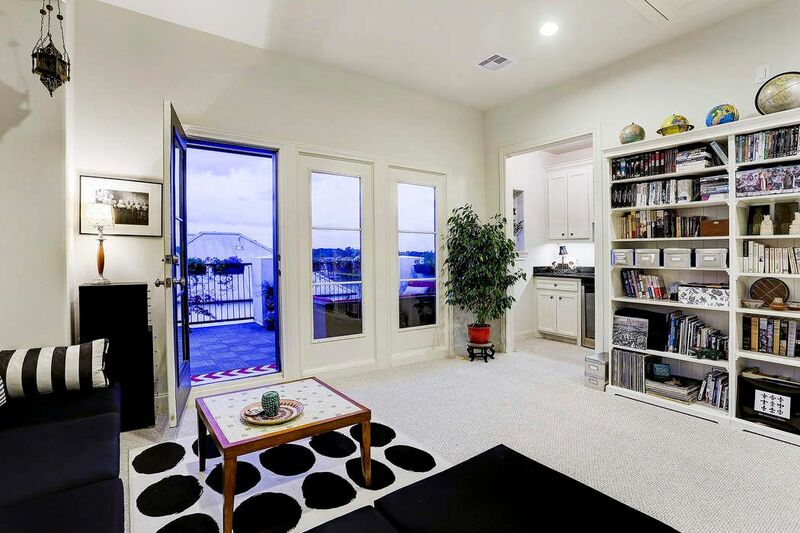 Top floor game-room and roof deck offer amazing views!